Whether you are looking for high-quality entertainment for your wedding, dinner party or corporate event - Dorian May can provide a group that is the perfect fit for your event. The groups is available as a trio (piano, bass & drums)or with the addition of a female or male vocalist and/or tenor sax. The repertoire ranges from dinner jazz and cocktail classics, Cuban mambos and boleros to old-time swing tunes. All members are professional musicians with many years of experience providing music for various events. The Dorian May quartet provided the music for the Kelley House Emporium and Speakeasy Cocktail Party at Crown Hall this last week. If they had not been there it would not have been the successful party that it was. The group filled the hall with a lively variety of jazz tunes that perfectly reflected the prohibition-era theme of the event. They even knew the Charleston, which brought people onto the dance floor! A professional and pleasant group to work with, no hassles or drama, just accomplished musicians who gave us an evening to remember. We will definitely consider them for our future events! Dorian and his jazz trio have performed numerous times over the past few years at our winery here in Mendocino County. His group is a favorite with our guests. The choice of music is perfect for our patio setting, while our customers sip on wine and enjoy the view. Dorian, along with the other musicians who accompany him, have all been professional, friendly and very accomplished musicians! It is always a treat when they come to play for us. Dorian May (and his variety of jazz bands) has become one of our most popular musicians at Headlands Coffeehouse, performing 3-4 times each month. Dorian keeps his shows fresh and exciting by always adding new songs and arrangements, inviting guest musicians and singers to join him, and encouraging his guest artists to learn new material as well. 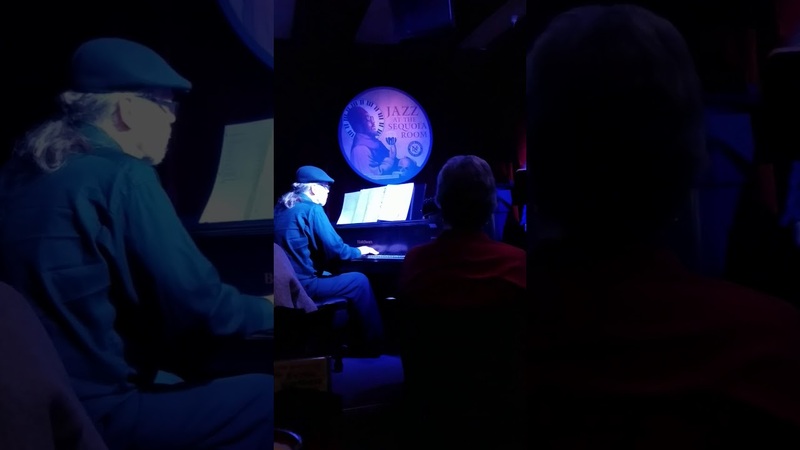 Whether it's BongoLatte (Latin Jazz, AfroCuban), The Dorian May Piano Trio (Cool Jazz Standards), Mad Cow Jazz (Jazz with Vocals), or his Sunday Jazz Jams, we can always count on having many happy customers! I could not let this day pass without writing to you and expressing my sincere appreciation to you and your group for the music you provided at Rotary’s event yesterday. Your music was beautiful and suited so wonderfully to the event and tenor of the event. I loved it and so did every guest. From a business perspective, you showed up on time and your group were all professional and personable. Again, thank you so much. In the coastal redwoods of Mendocino County, the Dorian May Trio was the perfect complement to the lively crowd at the Gualala Rotary annual fundraiser Taste of the North Coast. Great people, great wine, great food: wrapped in the mellow jazz of this accomplished trio. Perfect! We had the great pleasure to have Dorian and his jazz quartet play at our wedding and it was wonderful. All of our 130 guests loved the music played by the band. We hired Dorian and his band to play our Employee Christmas dinner, and not only are they a great sounding ensemble, but are highly professional and communicative, punctual and downright nice people. Would hire them again for sure. Dorian and his band have played several times here at BARRA of Mendocino Winery. They are excellent performers and we appreciate their level of professionalism. Dorian has the flexibility and musical range to tailor band members along with music style to fit each individual client’s vision. I am confident in referring them to our event clients in addition to looking forward to a continued working relationship. I would recommend them without hesitation. Dorian and his trio played at my daughter's outdoor wedding last summer. They were on time, professional, and had their sound dialed in. They played at a nice volume. They filled in that musical space between the ceremony and the dancing with the perfect mood. Thanks Dorian and gang! The Dorian May Duo/Trio/Quartet/Quintet plays an infectious musical mix of Latin, Jazz and Swing, with a repertoire ranging from dinner jazz and cocktail classics, Cuban mambos and boleros to old-time swing tunes. Dorian May, the leader and arranger for the ensembles, is able to tune the mood substantially for your wedding or event, blending into the background during the reception so that guests can mingle and talk, or cooking up a little more energy later in the night. 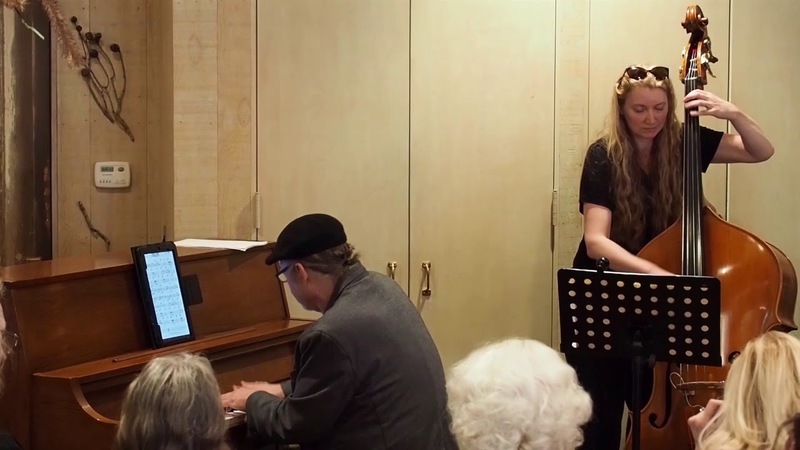 We are a professional ensemble featuring piano, upright bass, jazz drums as well as tenor saxophone and/or female or male vocals, and are available as a trio, quartet or quintet. We pride ourselves on our professionalism and our band is easy to work with. We try hard to accommodate all the needs of the event and the client. Excellent references are available. Band members have extensive experience in weddings, corporate events, gala occasions, private parties and fundraisers. Recent review: All my friends loved the music!